When I talked about this in Orkut Iyers community in 2007/8, some “brainbox" there thought I was just blabbering but it is an archaeological fact Krishna's city existed and Mahabharatha happened! There are several factors to justify that and there are archaeological and astronomical evidences. Many artefacts excavated from submerged dwaraka dates back to the period as said in Mahabharata in carbon dating! I quit that crap community shortly after that as I can't go with people who think they knew everything. Well this below post is an verbatim reproduction from various sources. Some years ago maybe a decade or two ago saw a UGC programme on this. Well UGC or University Grants Commission is a Government of India department for aids to Universities in India. I acknowledge the original authors. Till recent past we did not have the wherewithal to search for and establish the truth. But modern scientific tools and techniques like computers with planetarium softwares, advancements in archaeological and marine archaeological techniques, earth-sensing satellite photography and thermo luminescence dating methods, all have made it possible to establish the authenticity and dating of many events narrated in ancient texts like Mahabharata. 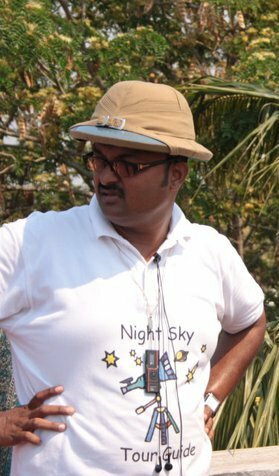 Recent archaeo-astronomical studies, results of marine-archaeological explorations and overwhelming archaeological evidence have established the historicity and dating of many events narrated in the epic Mahabharata. These have led to the conclusion that Mahabharata War was actually fought in 1478 BC and Shri Krishna’s Dwarka City got submerged under the sea in 1443 BC. In the Mahabharata there are references to three sequential solar eclipses and to some other planetary positions. Reference to the first solar eclipse comes in the Sabha Parva (79.29), graphically described by Vidur when Pandavas start their journey to the forest on being banished for 12 years of life in exile and one year of life incognito after they had lost everything in the game of dice. After 13 years of exile and incognito life, Pandavas came back to Hastinapur and they demanded their kingdom back but Duryodhana refused. Several efforts to prevent war failed and war became imminent. There is a reference to the second solar eclipse in the Bhisma Parva (3.29), following a lunar eclipse occurring within the same fortnight a few days before the actual war of Mahabharata. These eclipses occurred after 14-15 years of the first solar eclipse the epic also refers to some unfavourable planetary positions between the second solar eclipse and the beginning of the war on Kartika Purnima (Bhisma Parva 3.14 to 3.19). On Kartika Krishna Ashtami, Saturn was near Rohini and Mars was between Jayestha and Anuradha. Twenty two days later, on Kartika Purnima, Saturn was near Rohini, Mars was near Jayestha, a rough planet (probably uranus) was between Citra and Swati. Another white planet (possibly Jupiter) had moved from Purva-bhadra to Uttar-bhadra. Reference to the third solar eclipse comes in the Mausala Parva (2.19 to 2.20) occurring in the 36th year of the Mahabharata War. This was visible from the city of Dwarka which is stated to have been subsequently submerged under the sea. For these observations to be internally consistent there should have been three solar eclipses within a period of 50 years. The first one and the second one after a gap of 14-15 years should have been visible from Kurukshetra whereas the third solar eclipse should have been visible from Dwarka after 35 years of the second one. (i) On 19.3.1493 BC there was solar eclipse visible from Kurukshetra. (ii) After about 15 years, on 1st June, 1478 BC, there was a solar eclipse visible from Kurukshetra which was preceded by a lunar eclipse during the same fortnight on 16th May 1478 BC. (iii) About 3 months later, there was Kartika Krishna Ashtami on 20.9.1478 BC when Saturn was near Rohini (in Bhar-Kritika) and Mars was between Jayestha and Anuradha. (iv) Three weeks later, on 12.10.1478 BC, there was Kartika Purnima when the war actually started. On that day, Saturn was still near Rohini (as it actually moved from Bhar Kritt to Rohini between 1.6.1478 BC to 10.11.1478 BC). Mars was near Jayestha. Uranus, which probably is referred to as rough planet, was between Citra and Swati. Jupiter had moved from Purva-bhadra to Uttar-bhadra on 12.10.1478 BC. (v) In the 36th year after Mahabharata war in October 1478 BC, a solar eclipse could be seen from Dwarka on 7.1.1443 BC. Thus as per archaeo-astronomical calculations, Mahabharata War was fought in 1478 BC and Dwarka City got submerged in 1443 BC. These conclusions arrived at are corroborated by marine archeologists, archeologists as well as by the historians who have analysed the genealogy charts of rulers given in Puranas. 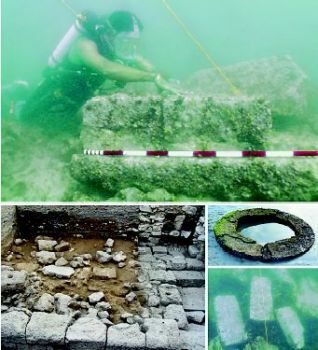 Marine Archaeological explorations around Dwarka - The on-shore and off-shore explorations carried out in and around Dwarka during last 50 years have revealed that Dwarka was a prosperous city in ancient times which was destroyed and reconstructed several times. The work of great excavators like Shri Z.D.Ansari and Shri M.S.Mate and chance discovery of temples of 9th century AD and 1st century AD buried near the present Dwarkadhish Temple prompted setting of a Marine Archaeology Centre jointly by National Institute of Oceanography (NIO) and Archaeological Survey of India (ASI). A project for marine archaeological explorations in Dwarka was initiated under the dynamic leadership of great marine archaeologist Dr. S.R.Rao who has the distinction of being awarded “The World Ship Trust Award” for outstanding research done in this field. (i) The land for building the city of Dwarka had been reclaimed from the sea between 16th to 15th century BC and a fortified city was built on boulder packing with outer gateway to the sea and inner gateway to Gomti river. This corroborates the references in the Epic Mahabharata as per which Dwarka city was built by Shri Krishna after reclaiming the land from the sea and it was built only a few years before the Game of Dice in 1493 BC. (ii) The thermoluminescence dating of lustrous Redware Pottery items found during explorations revealed that these were 3520 years old i.e. around 16th-15th century BC. (iii) the most famous rectangular seal with engraved motifs of bull, unicorn and goat found in trench UW6 in the sea bed was dated as belonging to 16th century BC. The seal corroborates the references made in the ancient manuscripts that every citizen of Dwarka was required to carry a mudra (seal) as a mark of identification. 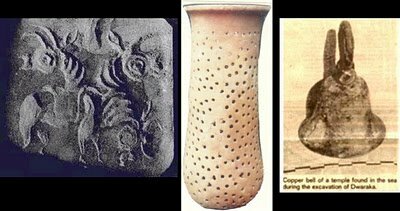 (IV) a copper bell and a copper lota, brass-items including U-shaped objects with holes at both ends and a bronze bell, all were dated as belonging to 15th century BC. Stone anchors with double holes and triangular prismatic stone anchors recovered from under the sea were similar to the ones found in Lothal excavations belonging to 23rd century BC. (v) A votive jar with seven characters inscribed was found. Reading based on Semitic-Indus-Phonetic value revealed that script is old Indo-Aryan and similar to the other Indus seal inscriptions. The date assigned to this votive jar and inscriptions are 15th-14th century BC. (vi) Three iron nails and a stake, four potsherds and one small bottle of iron were dated 16th-15th century BC indicating limited use of iron. Thus, conclusions arrived at after carrying out these under-water archaeological explorations support and validate the dates arrived at through astronomical calculations. These also prove that the reconstructed city of Dwarka was a prosperous port town and that it was in existence for about 60-70 years in the 15th century BC before being submerged under the sea in the year 1443 BC. Other Archaeological excavations - Most of the cities referred to in Mahabharata e.g.Mathura, Hastinapur, Indraprastha, Kurukshetra and Dwarka were situated in the territories which are at present known as Haryana, Punjab, Delhi, UP, Rajasthan and Gujarat. Extensive excavations carried out in these areas have shown that Indus Civilisation flourished in these areas between 3400-1500 BC. The excavations carried out in Lothal in Gujarat have proved the existence of very advanced civilisation between 2300 BC to 1600 BC. The town was divided into the dock, the arcopolis and the industrial, commercial, residential sectors. Artifacts recovered include gold jewellery and copper utensils. Archaeological surveys at Kalibhangan in Rajasthan have identified the existence of a planned fortified city between 2500-1700 BC. Artifacts excavated include baked bricks, semi precious stones, copper and bronze articles. Photographs taken by American earth-sensing satellite known as Landsat have confirmed that the river Saraswati described in the Rigveda as flowing from the “mountain to the sea” was indeed a great river before 2000 BC. Archaeological explorations on the ancient beds of the Saraswati e.g. at Kunal near Kurukshetra and at Banawali in Punjab have confirmed the existence of highly advanced civilisation during 3400-1500 BC. Artifacts excavated include silver jewellery and articles made of copper and bronze. Taken as a whole archaeological excavations establish the continuous evolution of Sindhu-Saraswati civilisation between 3400-1500 BC culminating in the Mahabharata period. The inhabitants of all the excavated places had similar ethnic features, spoke similar languages, followed similar religious rites which were vedic in nature, knew about horse and rice, had advanced knowledge of mathematics, made extensive use of copper and had discovered the use of iron. These discoveries match with the details in the Epic as also with the belief of the historians that the use of iron was discovered in India in 16th century BC. The War of Mahabharata acted as a watershed, putting an end to the ‘copper age’ and ushering in the ‘iron age’ in 15th century BC. Archaeological excavations thus support the conclusion that Mahabharata War was fought in 1478 BC. Attempts have also been made to determine the year of Mahabharata War from the details available in scriptures and ancient texts which include Puranas. When events are unrecorded for quite some time and they are passed on to the succeeding generations through Shruti and Smriti traditions, the inaccuracies and myths get mixed with reality on account of differences in the perceptions of different individuals. However, it is for the objective rational individual mind to find out and differentiate facts from fictions. Important informations, including the genealogy charts of rulers after Yudhishtira, are available in Srimad Bhagvatam, Matsya Puran and Vayu Purana. On the basis of such evidence, famous historian Lord Cunningham assigned the year 1424 BC to the War of Mahabharata. Another historian Shri S.B.Roy in his work ‘Date of Mahabharata Battle’ also arrived at the same conclusion by combining the literary and the astronomical route. All these are very important pieces of evidence which prove that epic Mahabharata is not merely a myth but is history and its central character Shri Krishna was a man with extra-ordinary abilities, around whom legends were built over the years. The common man started having faith in the divinity of this Supreme Hero, who for them is God incarnate. After knowing all this, there can be no doubt in the mind of any rational person that what has been taught to us in our school history books is not all correct. As per our history books, Aryans came to India from Central Asia in their war Chariots in 15th century BC. They defeated and destroyed the natives who were “aboriginal savages”. According to this theory both the Vedas and the Sanskrit language were brought into India by these Aryan invaders. The most influential proponents of this theory were Max Muller and William Jones who were linguists and they arrived at this conclusion on being struck by the affinities between Sanskrit and European languages. This theory is not supported by any archaeological, physical or scientific evidence. When subsequently archaeological excavations at more than 1100 sites scattered all over major parts of India proved beyond doubt the existence of flourishing Indus civilisation during 3400 BC to 1500 BC then the proponents of Aryan invasion theory reacted by suggesting that the invading Aryans had defeated the ‘Dravidian inhabitants’ of the Indus valley, least realising that such theoretical assumption would change the character of invading Aryans from bringers of civilisation to destroyers of great civilisation and culture developed by the native Indians. The four sets of evidences referred to earlier point more to the probability that nobody had come to India from Central Asia or from any other place. In fact, Indo-Aryan, kings and warriors had come to Kurukshetra in their war Chariots from all over India to participate in the Mahabharata War and that a whole lot of people got killed in that war. The killers as well as the killed, the victors as well as the vanquished, the charioteers as well as the foot soldiers, all were Indians who had already experienced thousands of years of prosperous and advanced civilisation. Archaeology also records a continuous indigenous evolution of vedic civilisation going back to 5000 BC at sites like Mehrgarh and Koldi. It is sad that, so far we have not known even a fraction about our ancient civilisation and cultural achievements. Detailed factual data in our ancient texts and sanskrit manuscripts is beckoning us to carry out further researches. By making use of most modern scientific instruments and techniques we must discover the true facts about our most ancient past. If we do that, we may be able to gather supportive evidences to reassert that ours was the oldest civilisation in the world that flourished in India and that our ancestors i.e. vedic Aryans had travelled from India to various parts of Asia and Europe to spread our knowledge, civilisation and culture. When this is recorded we would be able to hold our heads higher and will be able to take on the future with greater confidence. 1) “The lost city of Dawarka’ by Shri S.R. Rao (Emeritus scientist and adviser, Marine Archeology), head of Team for Exploration in Dwarka by Marine Archeology Centre. Aditya Prakashan , New Delhi. 4) “Lothal – A Harappan Port Town” By S.R. Rao – Vol. I & II, Archaeological Survey of India. 5) “The Saraswati flows on” by B.B. Lal, Aryan Book International, New Delhi. 6) “Date of Mahabharata War” by Shri S.B. Roy, The Academic Press Gurgoan. 7) “The Astronomical Code of the Rig Veda” by Subhash Kar, Munshiram Manoharlal Publishers Pvt. Ltd, Delhi. 8) “Reference Encyclopedia (India – 2001)” By Hanna Myer, joint imprint created by Mermaid center, Bangalore & Indmark Publishing New Delhi. 10) Ansari, Z.D. And Mate M.S. ( 1966) Excavations of Dwarka, Deccan College, Puna. 11) Rao, S.R. 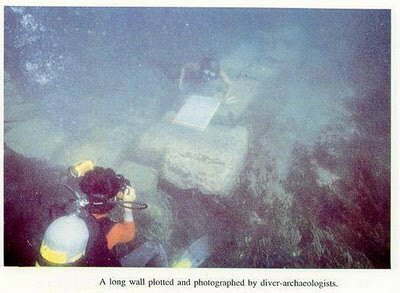 (1988) ‘ Marine Archaeology in India’ in “ 40 years of Research – A CSIR Overview”, Delhi. 12) Rao, S.R. (1991) “Dawn and Devolution of the Indus Civilisation” Aditya Prakashan, New Delhi. Quite interesting. Many things of myth and legend have been substantiated by Archeology over the past hundred or so years. It can happen. Being a astronomer myself, have witnessed lunar eclipse followed by solar eclipse. Meanwhile, are you a astronomer? Top Heritage Hotels In India, List Of Heritage Hotels In India, Heritage Resorts, Book Indian Heritage Hotels and Resort Booking and Destinations Near Delhi Comment Thanks for sharing good information !